Understanding the molecular interactions responsible for chiral recognition is of primary importance in life chemistry. Gas-phase experiments on either neutral or ionic adducts of chiral molecules allow for the study of intrinsic properties of chiral recognition in solvent-free conditions. 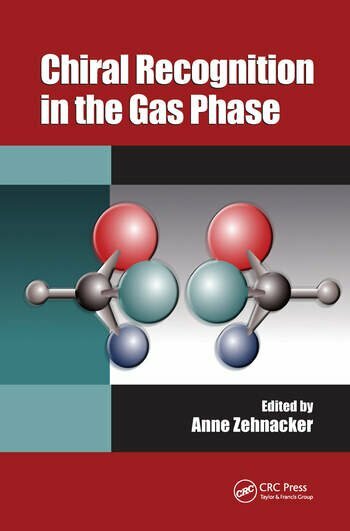 With contributions from a panel of international experts exploring a variety of subjects, Chiral Recognition in the Gas Phase describes the structural and energetic aspects of these interactions. The first part of the book focuses on optical spectroscopy in jet-cooled conditions in neutral chiral molecules and complexes. The spectroscopic methods range from microwave, IR, and UV spectroscopy to circular dichroism effects in photoelectron spectroscopy. The book also discusses issues related to the homochirality of life. The second section describes mass spectrometry approaches to chiral recognition in ionic complexes. These approaches encompass the study of the stability of supramolecular chiral host-guest adducts, the study of chiral catalysts and chiral selectors, the use of small DNA sequences as auxiliaries for discriminating the enantiomers of amino-acids, and the probe of the chirality of a single amino acid within a peptide chain. Chiral recognition on a molecular level is essential for the rational design of chiral separation media and for understanding the fundamental interactions between biological molecules. It is especially important in all of the life chemistries, particularly in pharmacology, due to the differences in behavior between the enantiomers of a chiral molecule embedded in a chiral surrounding. 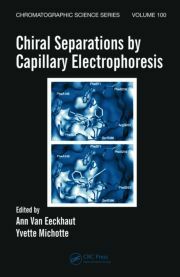 This volume cogently and comprehensively describes the state-of-the-art work that has been devoted to understanding of the forces at play in chiral recognition. Anne Zehnacker was born in 1962 and is a director of research at the French Center for Scientific Research (CNRS). She started studying chemistry in Strasbourg, France and earned a PhD on the electronic spectroscopy of aromatic molecules at the Orsay University in 1988. She spent one year in the theoretical chemistry group in CEN Saclay. She is a member of the French Chemical Society and has been an invited scientist in several universities, including Sendai (Japan), Warsaw (Poland), Seoul (Korea), Melbourne (Australia), Göttingen (Germany), and Toledo (Spain). She serves as a member of the advisory committee of Physical Chemistry Chemical Physics (PCCP). Her work focuses on molecular interactions and photoinduced processes in clusters. She was awarded the CNRS "bronze medal" in 1992 and the prize of the Physical Chemistry Division of the French Chemical Society in 2003 for her work on chiral recognition in jet-cooled complexes. 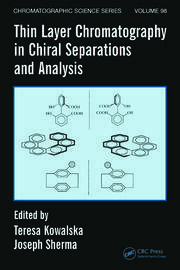 … a valuable resource for graduate students and new researchers who are fascinated by the nature of chirality or interested in making contributions to this field.